When planning to build a Texas wine cellar, the lighting is one of the most important aspects to consider. 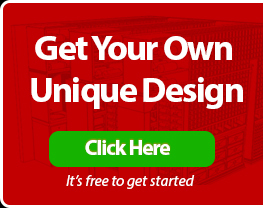 It can protect or damage your wine and enhance or ruin the look of your wine cellar. The wine cellar lighting should emit as little heat as possible and have less UV rays. 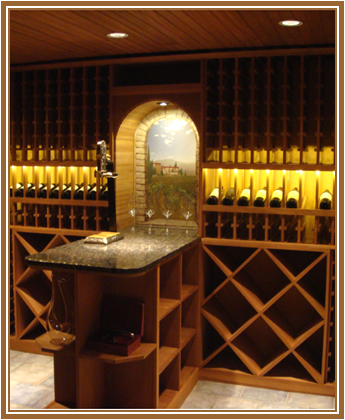 This is why it is essential that you choose the best wine cellar lighting system for your custom wine room. Wine cellar lighting contributes a lot to the visual appeal of your wine display. Since the ambiance of your wine cellar is determined by the type of wine cellar lighting installed in it, it is recommended that you take it into account and discuss your requirements with a Texas wine cellar builder. 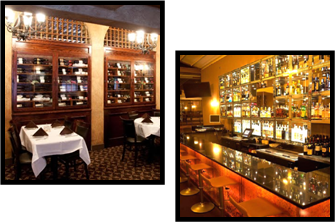 In commercial wine cellars or restaurants, lighting has a big impact on the marketability of the owner’s products. Opt for a stunning lighting system to attract the attention of potential customers. Convenience in stacking and organizing wines can be achieved with a good light. Reading the labels and selecting the bottles that you want to drink will also be easier. Minimal heat is the key to ensuring that your wines are safe while being highlighted in your wine cellar. The most favorite and widely-used lighting in wine cellar installation is LED (light emission diode) lighting. 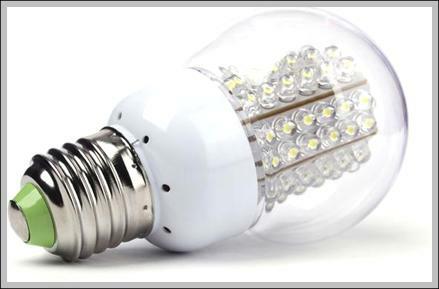 It has no harmful UV rays, emits low heat, and is durable and energy-saving. LED lights are a bit expensive, but using them will save the wine cellar owner a lot of money in the long run because these lights have longer life span and require low energy consumption. Have a switch outside your wine cellar so you won’t have to enter the room if you want to turn off the lights. You may also opt for a light indicator which will inform or warn you that there are still unattended lights in the wine storage area. There are some lighting systems that feature a dimmer switch that allows adjustment of heat emission. This will ensure that the ideal wine storage temperature is present in your wine cellar. These monitoring and control features are essential in maintaining proper lighting in the place where your wine bottles rest.